Cordone Landscaping provides all their clients with an opportunity to see what work can be done to their property before any decisions are finalized. 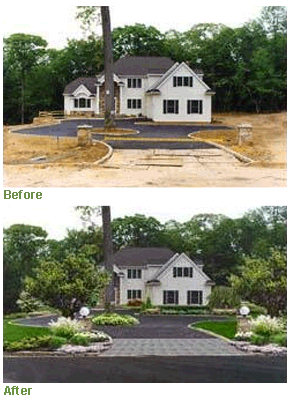 We’ll come out to your property and take digital photos that we can then redesign using our landscape design software. We’ll then show you what your property would look like with an array of plant and shrub options. Once you’ve approved a design we can get started.